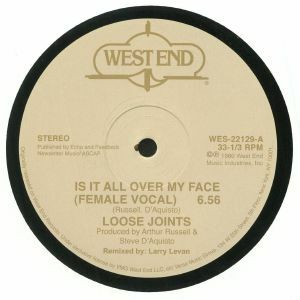 There's no doubt that Loose Joints' "Is It All Over My Face" is something of a disco classic; arguably, it's one of those records that any discerning disco DJ should have in his or her collection. This reissue features both the popular "Female" and lesser-known "Male" versions - the latter blessed with arguably better percussion and thrillingly eccentric horns but worse vocals - in remastered form. 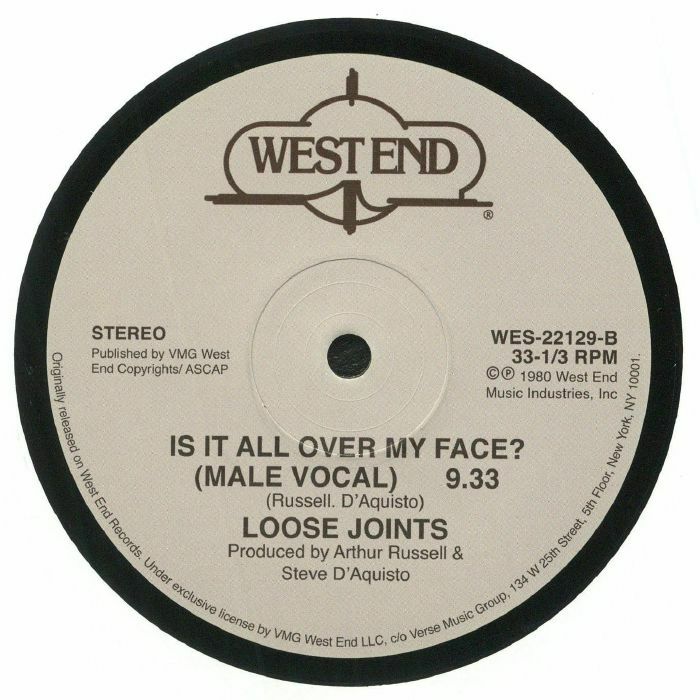 The re-master only serves to highlight the quirkiness and looseness of Arthur Russell and company's playing and Steve D'Aquisto and Russell's deft production. If it's not in your collection, it should be - if only for the celebratory eccentricity of one of disco's baggiest anthems.